As an animal lover I must admit that I disagree with the zoos. And while there a long way till humans will understand that all wild animals must roam free, this place seems to find the perfect solution. The Lehe Ledu Wildlife Zoo in China turns tables on visitors. 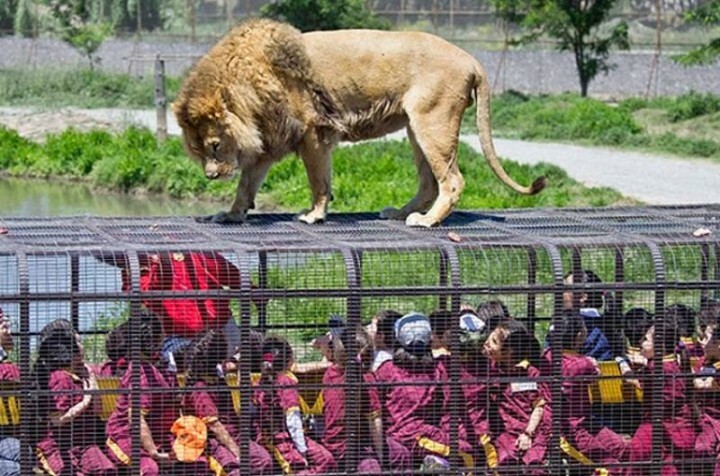 So here animals roam free while the humans who want to see them, are caged. Therefore if you love getting close to wildlife but despair at the thought of an animal living in a cramped, man-made enclosure, you should definately visit this unique place. 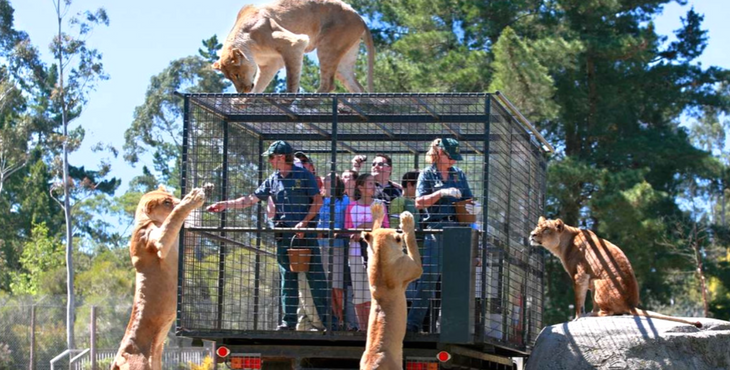 According to The Daily Mail, the one-of-a-kind zoo acknowledges that humans have encroached upon animals’ natural habitats, therefore, should pay them a visit – but in a safe, secure vehicle. For those who really want to experience how it feels like getting closer to a lion or a tiger, the Lehe Ledu Zoo offers this unique opportunity. And since the visitors are in safe vehicles you can get as closest as possible to those huge beast without any danger. The tourists also have the possibility to feed the animals. But only under the guidance of the zoo’s staff and with specific food. Since the place open its gates back in 2015, it was sold out for three months. Despite the danger it looks like people prefer to visit wild animals in their natural habitat.